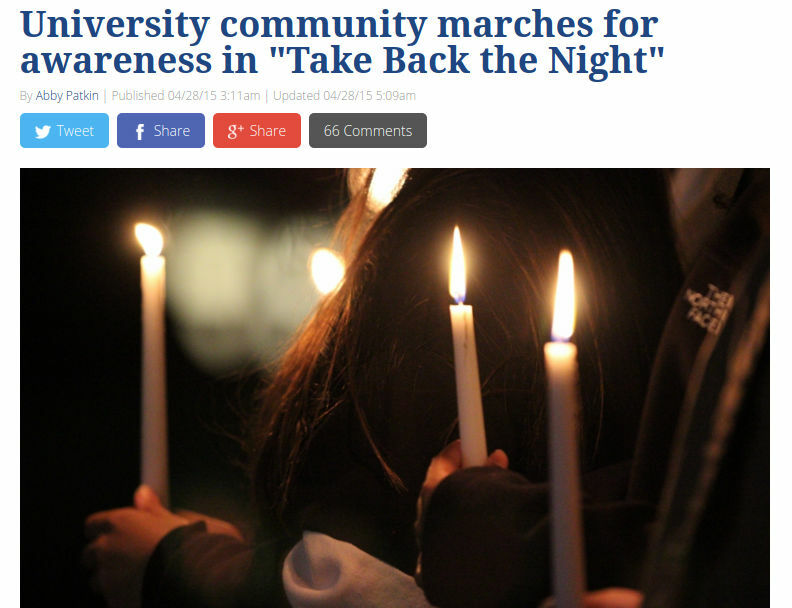 Brandeis University took nearly a month to clear student journalists of wrongdoing for reporting on the university’s Take Back the Night march against sexual assault. It did so less than a week after an outside group warned the school it was violating its own stated promises to students by investigating The Justice. The editors also received a legal threat from a law firm on behalf of two students who were quoted anonymously – as were all self-described survivors – in the report. “I’m glad that University administrators had the foresight to see the dangerous precedent that could have been established had they chosen to sanction journalists who were just doing their job,” Avi Gold, managing editor of The Justice, told The College Fix in an email. The march in question took place nearly a year ago, featuring students who gathered together to share their stories of sexual assault. According to the paper, it has taken place at Brandeis since 2005. “The story was written because sexual assault awareness has been an important issue to this campus for as long as I can remember,” Gold told The Fix. “It included, among other things, three anonymous quotes from survivors of sexual assault who shared their stories,” Editor-in-Chief Max Moran told The Fix in an email. That was evident from comments posted on the story, some of which said that by quoting students anonymously at a public event, the paper was further abusing victims of sexual assault. Others pushed back against that claim. 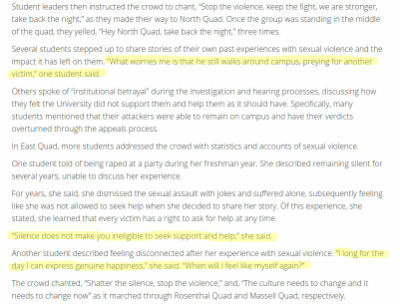 The non-identifying quotes were included “because at its heart, Take Back the Night is about survivors sharing these experiences, and in our view, any coverage that does not address that is fundamentally failing to capture what the event is about,” Moran said. Never-released audio violates state law? More alarming than the negative feedback was the August letter The Justice received from a law firm claiming to represent two students at the event, Moran said, instructing the paper to take down the article and issue an apology or face possible legal action. The letter stated the paper was violating Massachusetts law by recording the audio of the public event, Moran said. The letter was apparently an empty threat because the paper “never heard from the lawyers beyond that first letter,” said Moran. The controversy died down until Feb. 29 – 10 months after the paper’s report and a month ahead of the next march – when Gold received a letter from Brandeis alleging that he violated the university’s “Electronic Devices and Privacy” policy. The policy bars students from using “electronic devices in any manner that invades or causes disruption to another individual’s privacy in a classroom, library, or other campus facility or at any campus event.” It does not define “invades” or “disruption” or mention public events on campus. The Foundation for Individual Rights in Education intervened after administrators refused to drop the disciplinary charges. FIRE’s March 23 letter to interim President Lisa Lynch said the school was incorrect in claiming that Patkin’s recording violated state law. Patkin’s phone, on which she recorded the event, was “in plain view” on her notebook and the recording was therefore not “secret” as required to violate state law. The threat worked: Gold was notified in a March 28 letter by Kerry Guerard, director of student rights and community standards, that the investigation was ending. This was less than a week before the Justice staffers were to face a student conduct board hearing. “The act of reporting on an event in the newspaper does not constitute a violation of any section of the Brandeis student conduct code,” and because Gold himself didn’t record the event, that investigation of “recording students without their consent” would end too, Guerard wrote. 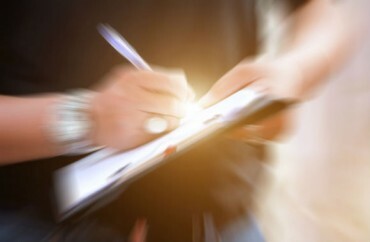 The university will also review its recording policy and “consider revisions” for the next version of the student conduct code because of confusion on how to apply it to student journalists, Guerard wrote. The university was obligated to drop the charges “to preserve the expressive freedoms that Brandeis promises to its students, which are essential to the purpose and mission of higher education,” Ari Cohn, senior program officer for legal and public advocacy at FIRE, told The Fix in an email. “Patkin openly recorded speeches that occurred at a public march intended to raise awareness,” Cohn said. “Speech that is intended to raise awareness among the general public is, by definition, not private.” He scoffed at the idea that publishing quotes anonymously could identify a speaker and invade her privacy. If Justice staffers decided to sue Brandeis for violating their rights, it would have to be on “contractual grounds” since the university is private, Cohn said. Moran said the formal resolution of the case in the journalists’ favor “would only be helpful to upholding the rights of the press” if a student filed another complaint against the paper for its reporting of a public event. That doesn’t appear likely. According to the paper’s report on last week’s Take Back the night March, “no survivors shared stories themselves” – organizers simply read “survivor stories” from the national Take Back the Night website and shared statistics on alleged sexual assaults.